A Christ-centered education recognizes that all knowledge is unified in our Savior, Jesus Christ. St. Augustine exhibits the truth that education can never be neutral by submitting all to God’s teaching in Scripture, focusing on our student’s spiritual well-being, and searching for faculty, staff, and board-members who live exemplary Christian lives. Wisdom begins in the fear of the Lord, and St. Augustine begins all educational pursuits with Him who created all things. 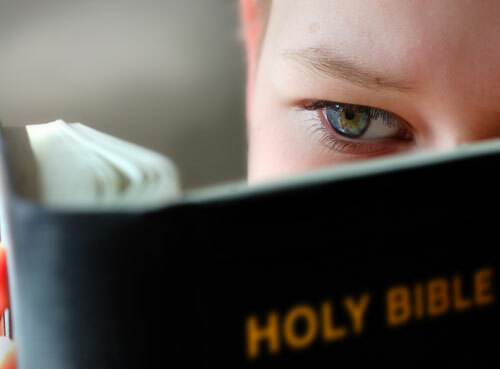 God has revealed himself and his truth in creation, however, because of the exceeding sinfulness of man and the spiritual nature of the gospel, only the Holy Scriptures, the books of the Old and New Testaments, can impart saving truth, and as such, they are the ultimate authority for our religion. There is only one God who eternally exists in three persons, the Father, the Son, and the Holy Spirit. The second Person of the Holy Trinity, Jesus Christ, eternally begotten of the Father, became man for us sinners; was born of the virgin Mary; suffered under Pontius Pilate; was crucified, dead, and buried; rose from the dead on the third day; and ascended into heaven where he is seated at the right of God the Father, crowned as Lord of all creation, with power and glory. Justification is by faith, apart from the works of the law. This faith trusts in the life, death, and resurrection of Jesus Christ, who is the only mediator between God and man. The faith that justifies is living and active, necessarily producing good works. The bodies of the dead will be resurrected at the last day, when Jesus Christ comes to judge both the living and the dead, rewarding believers with eternal life and eternally punishing all unbelievers. All believers are united through the indwelling of the Holy Spirit and are commanded to regularly assemble together with a particular Christian congregation. All Christians are called to love the Lord with all their heart, soul, mind, and strength; to love their neighbor as themselves; to show forth the Christian virtues of faith, hope, and love; to live lives of holiness; and to exhibit love, joy, peace, longsuffering, kindness, goodness, faithfulness, gentleness, and self-control. God exists and has revealed Himself (as explained in our statement of faith). God acts in history, both in creation and redemption (as explained in our statement of faith). God has revealed His moral law, especially in His Scriptures which are the only inspired, infallible, and inerrant rule of faith and practice, and this law is immutably binding upon all mankind. God has created three distinct realms of jurisdiction: the church, the family, and the civil government, and therefore each should work to support one another without attempting to subsume the others. God is one, and therefore truth is one; every branch of knowledge relates to every other branch of knowledge at some point in a complementary and harmonious manner. a) Adam was a historical figure, uniquely created by God, and is the singular head of the human race and the first cause of sin and death in the world. b) The Jesus revealed in the gospels is the historical Jesus, his teachings are accurately recorded in the Scriptures, and he was literally and actually resurrected from the dead. c) The only true and coherent human sexuality is that taught by the Scriptures: that humans are either male or female by nature, and thus the only moral sexual union is between a man and woman within the bond of marriage. d) All human life bears the image of God from time of conception and as such is worthy of all honor, respect, and protection.